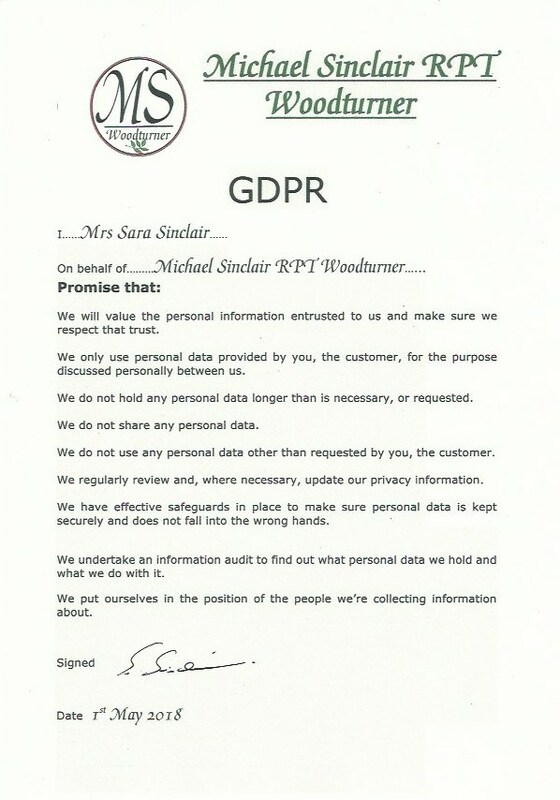 At Michael Sinclair Woodturner we are committed to protecting your privacy. We have completed steps to make sure we comply with the GDPR, new data protection law which comes into force today. We only use personal data provided by you, the customer, for the purpose discussed personally between us. We do not hold any personal data longer than is necessary, or requested. We do not share any personal data. 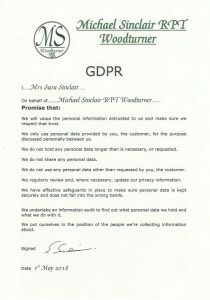 We do not use any personal data other than requested by you, the customer.